Unwind and let your cares float away at Creekstone Inn. 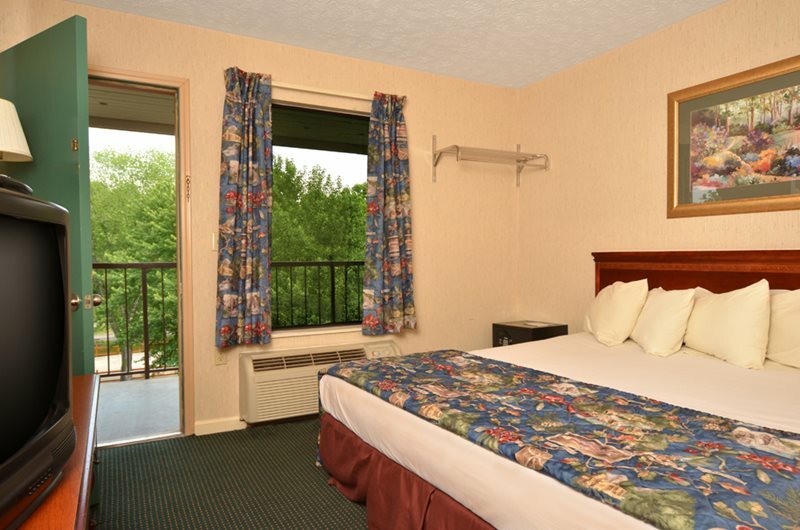 Every room features a balcony overlooking the Little Pigeon River, bringing you the soft sounds of gushing water and the rousing song of native wildlife. 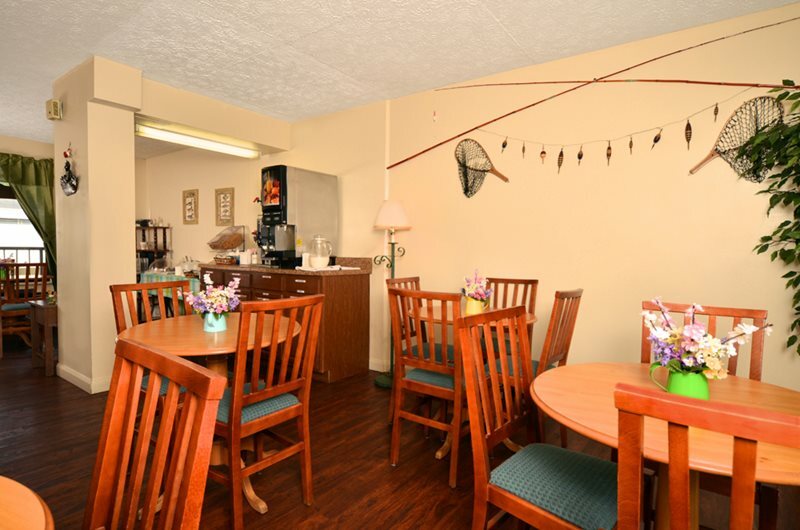 Creekstone Inn is conveniently located one block from the Pigeon Forge Parkway. The Pigeon Forge Funtime Trolley stops right outside our hotel, providing comfortable transportation throughout the area. Our attentive staff strives to ensure every moment of your stay is enjoyable. We’ll gladly assist you with area information, including directions, shopping, local attractions, and more. 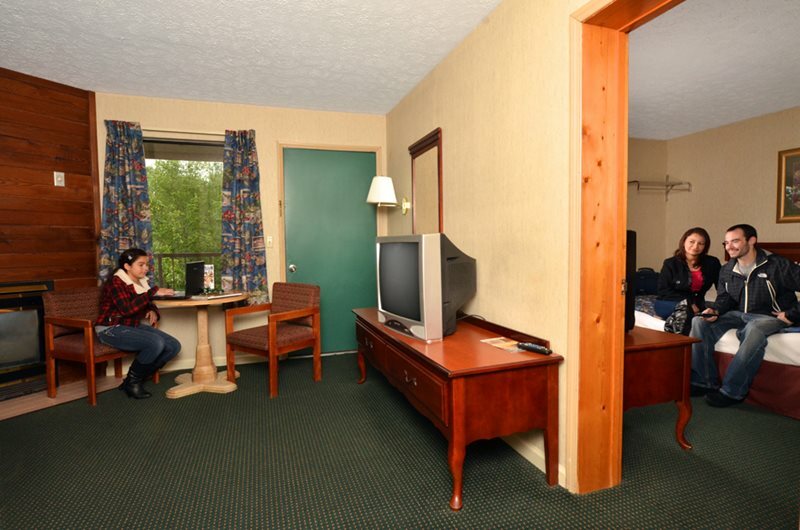 Creekstone Inn is among the most customer-friendly hotels in Pigeon Forge. Our emphasis on hospitality is a family tradition passed down through the generations to our front desk, housekeeping, maintenance, and management staff. 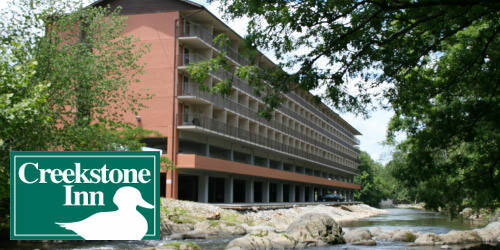 Centrally located, Creekstone Inn sits on the edge of the Little Pigeon River which consists of a series of scenic streams. Every guests room features a balcony overlooking the river, providing a peaceful respite in the heart of the city. Our amenities include free parking in both our two-level parking garage and parking lot adjacent to the hotel office. The outdoor pool, located near the hotel office, is open from 8 a.m. To 10 pm. throughout the season. Served daily on the second floor, our express continental breakfast comes complimentary with your stay—guests may also choose a free pancake breakfast at the Smoky Mountain Pancake House, located at Mountain Sky’s Lodge. Our rooms have many amenities: balconies overlooking the river, two TVs with cable and free HBO, split design bathrooms, hairdryer, microwave, mini-refrigerator, and coffee maker. In addition, all rooms are non-smoking and non-pet. As an added bonus, guests may purchase a bag of cracked corn to the feed the wildlife, including ducks, geese, and squirrels–a fun activity for the whole family. Book your stay today, and visit the Smoky Mountains tomorrow!